Kids Kicking Cancer’s Mission is “to ease the pain of very sick children while empowering them to heal physically, spiritually and emotionally. Kids Kicking Cancer is a global organization dedicated to lowering the pain of children through the teaching of martial arts as a therapy. 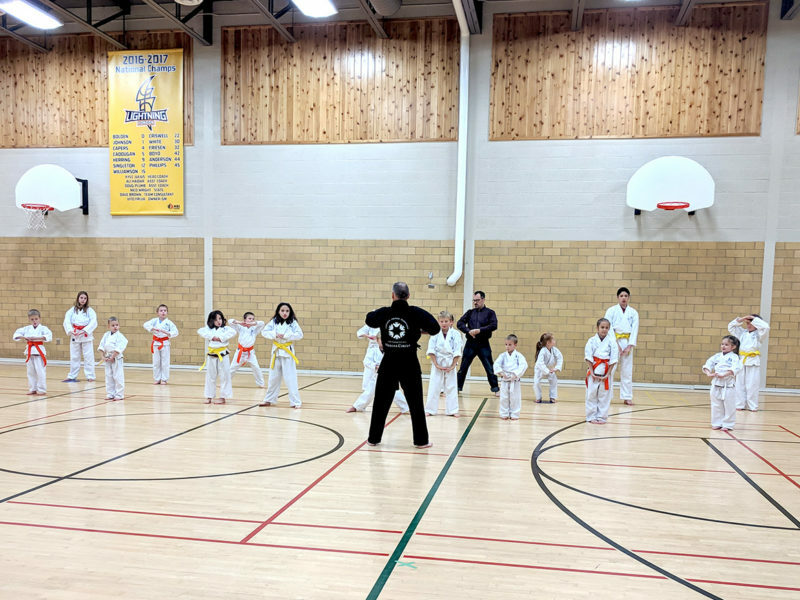 Children learn breath work, meditation and traditional karate movements that empower them to teach others and thus gain purpose within their lives. Our young cancer patients teach other children with challenging illness and even adults how to “breathe in the light and blow out the darkness”. This has extended into the creation of a Heroes Circle program dedicated to lowering the pain of all children regardless of disease. Kids Kicking Cancer began in 1999 with ten children at Children’s Hospital of Michigan and is now empowering over 5,000 children in 48 hospitals in 5 countries. In 2010, Canada’s first Kids Kicking Cancer program was piloted in Windsor. The program expanded to London in 2012 with service at Children’s Hospital, London Health Sciences Centre and community programs. In 2018, a community-based program began in Ottawa. Kids Kicking Cancer was created in 1999 by Rabbi Elimelech Goldberg, a black belt rabbi and clinical assistant professor of pediatrics. Rabbi G lost his first child to leukemia at the age of two and brings a wealth of personal experience and sensitivity to dealing with children and families facing life-threatening illness. This program, which began with a handful of children at Children’s Hospital of Michigan, now teaches over 4,500 children and teens a year in 46 hospitals in five countries. Kids Kicking Cancer also has a “black-belt” program for patients who are not responding to treatments. This end of life care program provides ongoing meditation and family focus in a palliative format that culminates in the child receiving a black-belt in a public ceremony, usually a few days before he or she dies. Embroidered on the black-belt are the words “Master Teacher” because that child is truly teaching the world how to use the power of light to break through darkness. Rabbi Goldberg is an awardee of the Robert Wood Johnson, Community Health Leaders Award in Washington D.C., known as the United States’ highest award in community public health. He has been honored as a Hero in People Magazine, CNN Top Ten Heroes, and the Ford Motor Company’s Heroes Gallery, amongst the many media stories featuring the work of Kids Kicking Cancer.